Reservations must be made at least 12 hours in advance of scheduled time. MIXED LEVEL REFORMER: Building skills beyond Reformer Fundamentals to challenge precision, breath, and endurance. Appropriate for students with some movement experience. 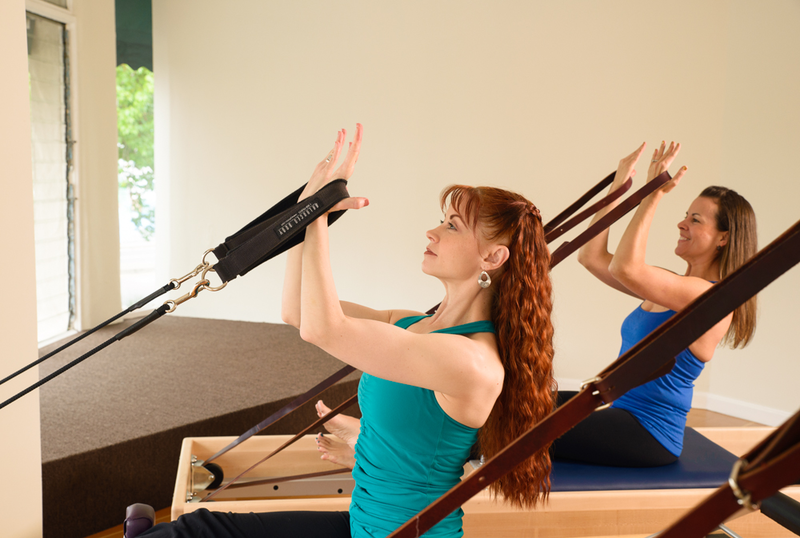 REFORMER INTERMEDIATE: Practice of the Intermediate Pilates repertoire and more complex choreography. A solid mastery of beginning level Pilates required. FLETCHER PILATES® FLOW: Move the whole body in a flowing progression from floor to standing, using exercises from Fletcher Towelwork®, Fletcher Floorwork®, and Mat repertoire. 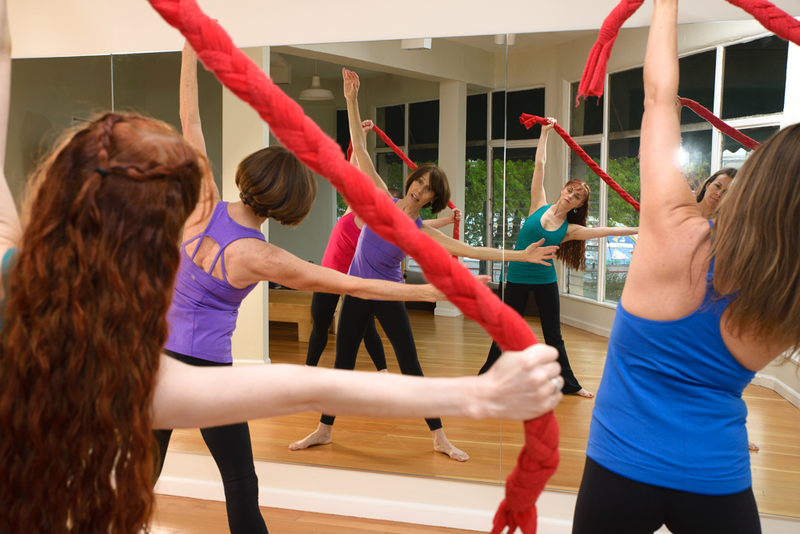 Discover new shoulders, better posture, a strong belly, a more flexible spine, and the joy of movement. BARREWORK & FLOORWORK: A multi-faceted Fletcher Pilates® program combining elegant, ballet based Barre exercises with the dynamic and unique Graham-based Floorwork. Develop strong legs, torso, and back muscles at the Barre. Move from your core with innovative choreography. BARREWORK & BARRELS: Partnering Barrework with the challenging abdominal and back exercises on the Small Barrel. Create a supple, fit body. TOWELWORK: Learn to move with the unique Fletcher braided towel. A thorough and demanding system designed to stabilize the shoulder girdle while engaging the whole body in movement. Improve posture, strength, and balance. FLETCHER PILATES® MAT: Practice a precise and continuous sequence of Pilates Mat exercises designed for overall strengthening of abdominal and back muscles, while increasing flexibility and stamina. Private or Semi-Private (2 people) Pilates Sessions are by appointment only. Please telephone: 510.250.9621 to schedule. Sessions are customized to an individual’s goals and fitness level.